Corel specializes in graphic illustration, video editing and digital media products. 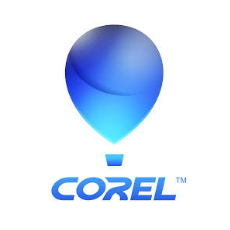 The Corel suite of products includes CorelDRAW Graphics Suite, PaintShop Pro, VideoStudio, Pinnacle Studio, and a family of office suites, apps and utilities. PaintShop Pro is an easy-to-use, affordable photo editing software suite for Windows. PaintShop Pro offers a versatile set of responsive photo editing features such as red eye removal, skin smoothing, retro filters, Smart Photo Fix, white balance, fill light/clarity, layers, lens protection, gradient tools and text presets. An updated template menu makes it easy to create digital assets for business and personal use, including Facebook Covers, banners and other commonly used standard-sized digital assets. VideoStudio by Corel is an affordable, feature-packed and user-friendly solution for video editing. Available in Pro and Ultimate editions, VideoStudio lets you import photos, video clips and audio, edit in Timeline or Storyboard mode and upload directly to social media.